Tomatoes and Pizza. Those were the two things on our minds the other day in Napoli. 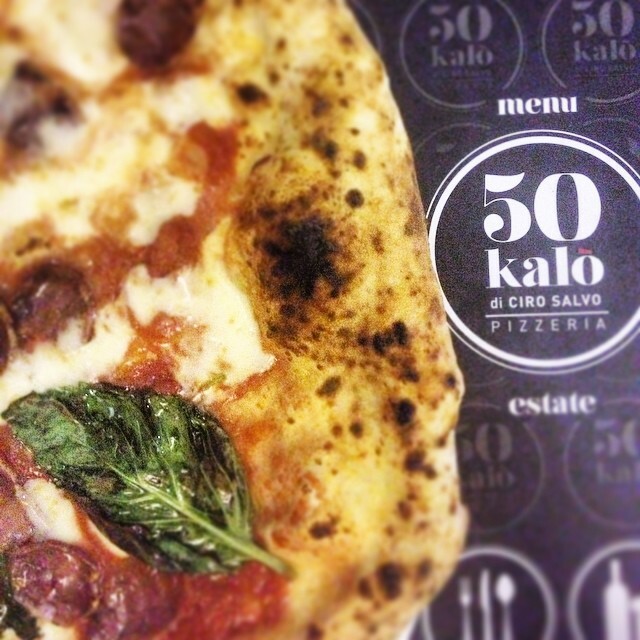 As soon as our train pulled into Napoli’s Stazione Centrale, we beelined it over to 50 Kalo’. In the hands of pizza maker Ciro Salvo, we feasted on breathtaking pizza. Grazie Ciro! What makes Ciro’s pizza so good? Yes, as Katie Parla recently explained in the NYTimes, Ciro’s dough is remarkable. But for us, it is all about the tomatoes. Yes, the tomatoes. We know, you probably guessed that we were going to say tomatoes; and if you didn’t, we suggest you read the GustiBlog more often. 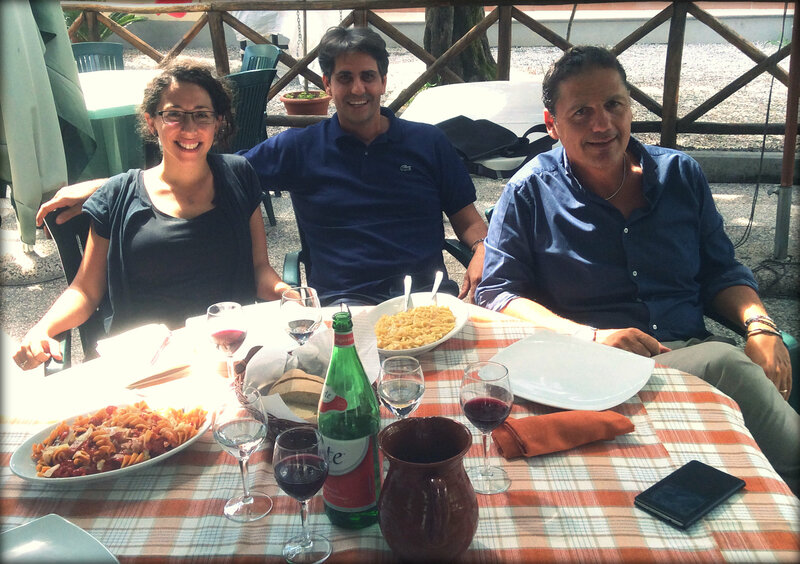 Speaking of tomatoes, after Ciro’s place, we headed over to visit Sabatino Abagnale. 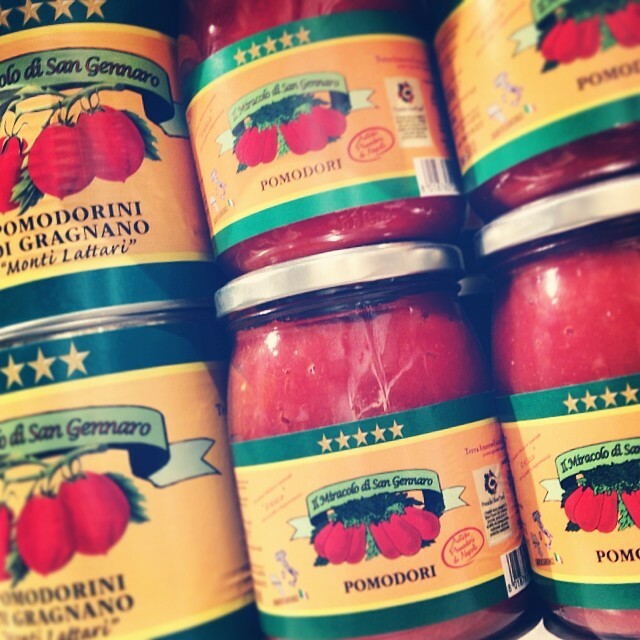 He is the maker of Il Miracolo of San Gennaro Pomodori and Pomodorini. Sabatinobelieves that tomatoes are like wine, they have to have the right balance of acidity and flavor. Also, just as one would age wine, Sabatino ages his tomatoes underground for 60 days. Why? To make sure their quality is perfect, and yes, to let them mature and allow the flavors to grow. Sabatino has strong opinions when it comes to tomatoes. There are a few basic beliefs on which he has built his tomato production. In particular, he only harvests his Miracolo tomatoes at night because of the ideal humidity levels. Also, he does everything by hand, as you would do (or perhaps have done) at home in your backyard during tomato season. Lastly, his Miracolo tomatoes have such flavorful and delicate skins, he says that the skins are his tomatoes’ best part! Next Post Today in Napoli: La Festa di San Gennaro!